The manhunt for Steve Stephens, the man who recorded himself shooting 74-year-old Robert Godwin Sr on Easter Sunday, is now considered a national search. Authorities are offering a $50,000 reward for any information leading to Stephens arrest. 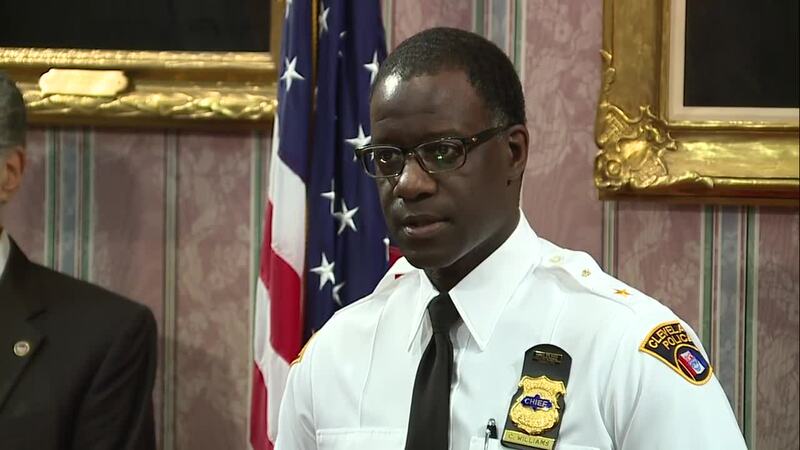 The City of Cleveland, Cleveland Police and federal authorities provided updates to the public Monday about the ongoing investigation and search for Stephens. From Sunday afternoon and going into Monday morning, local and federal authorities searched dozens of locations based off of leads to no avail. "We don't want people to panic. There has been one homicide and we want to keep it that way," said Williams in a press conference on Monday. Authorities are urging the public to keep their eyes open not only in Ohio but in surrounding states. They emphasized everyone should go about their day as normal as possible. "The video of the shooting was not broadcast live, as widely reported. It was recorded and then uploaded to Facebook by Stephens, according to a Facebook spokesperson. In a statement, the spokesperson said the shooting was a "horrific crime." 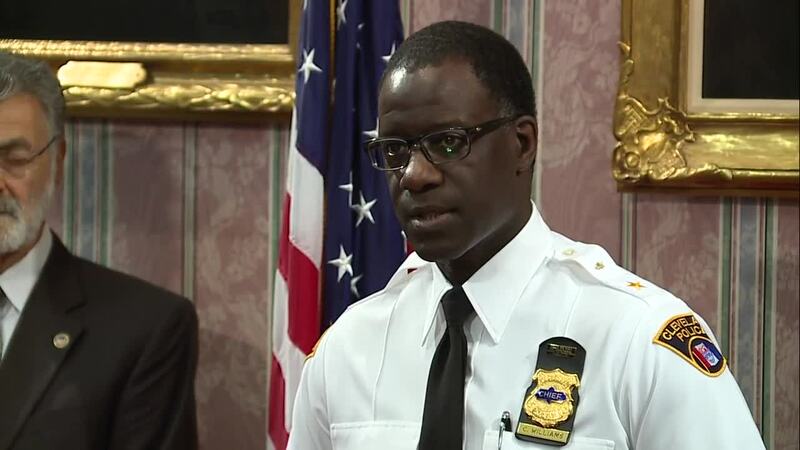 Chief Williams said there are security measures in place for the Cavs game to ensure public safety. 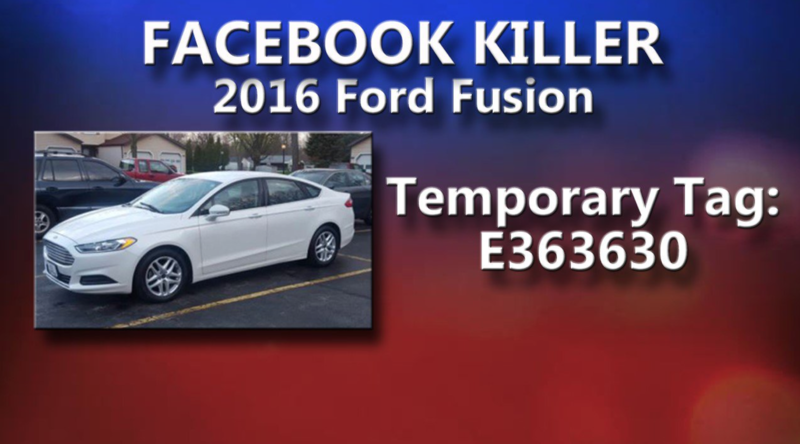 Police say the suspect's vehicle is a white Ford Fusion with temporary tag E363630. 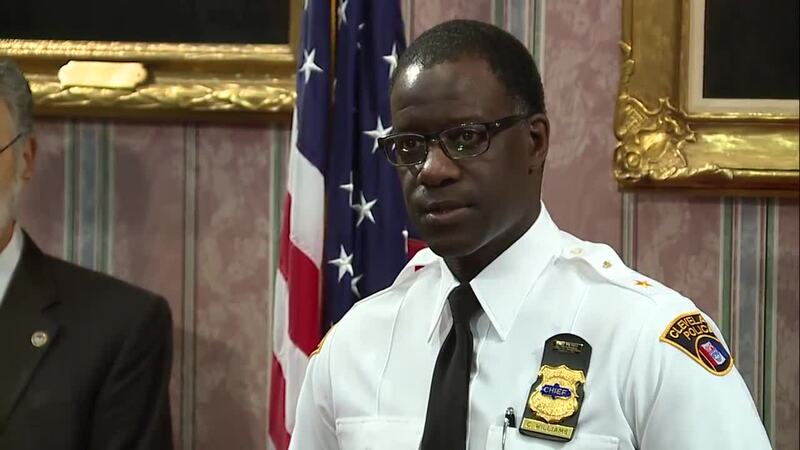 Cleveland police received hundreds of tips Sunday, speculating on the possible whereabouts of the suspect accused of killing Godwin. Rumors filled social media but, case after case, the information led police to a dead end. Authorities urge the public to call police with any information on the Stephens' whereabouts.